Cosmos are easy to grow. Cast the seeds out onto a patch of soil and they will rise exuberantly. They turn their sunny heads in every possible direction, stretching their foliage out every which way. Roses, dahlias and boxwood hedges require work and watchfulness, which earns respect and admiration for both the plants and their caretakers. 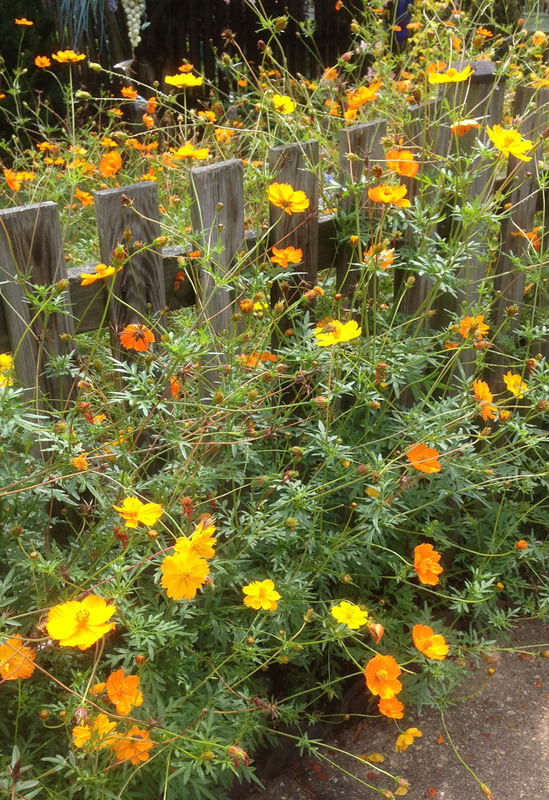 Cosmos seem to flourish as easily as weeds. Tidiness simply is not in their nature. 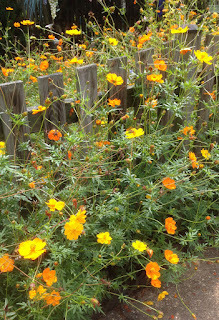 I walk past a fence that barely contains them and am cheered not just by their colors, but their unbridled enthusiasm.